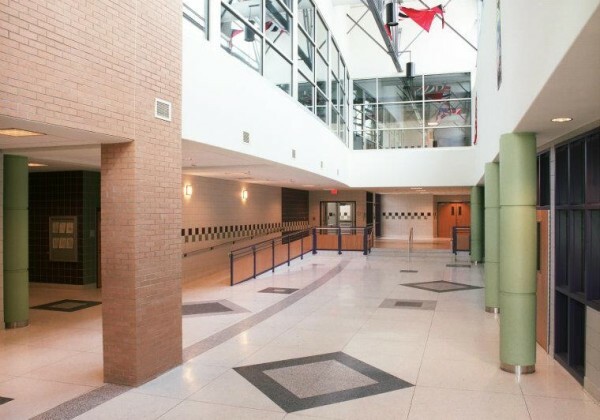 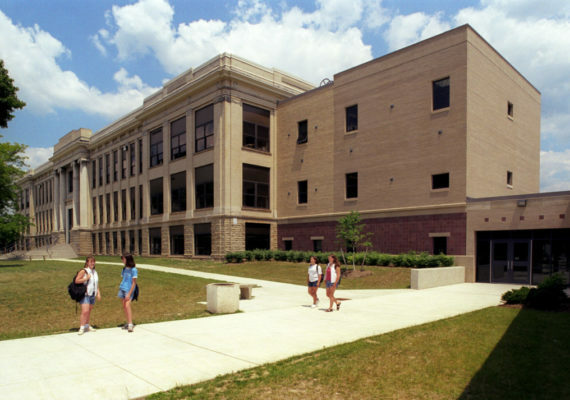 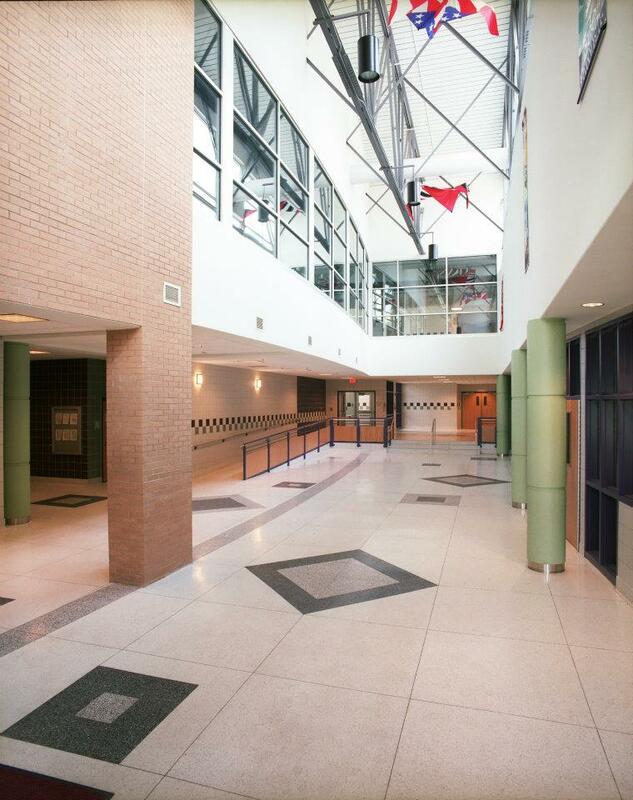 The Spencer Middle School was renovated to meet the district’s goal of realigning grade levels within three schools. 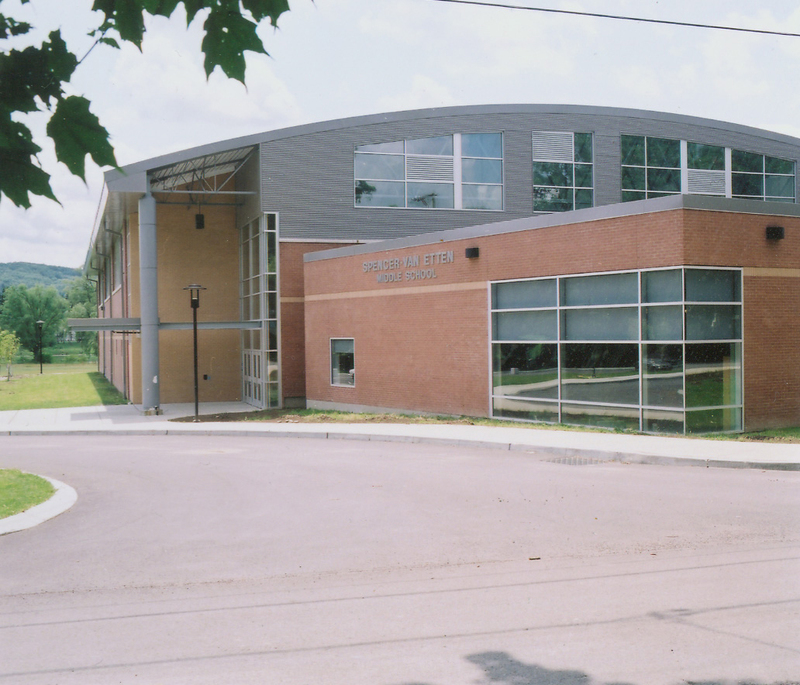 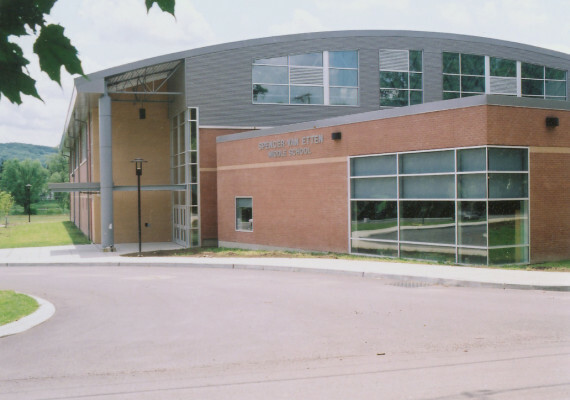 The project team designed a 12-classroom addition, including a library and gymnasium. 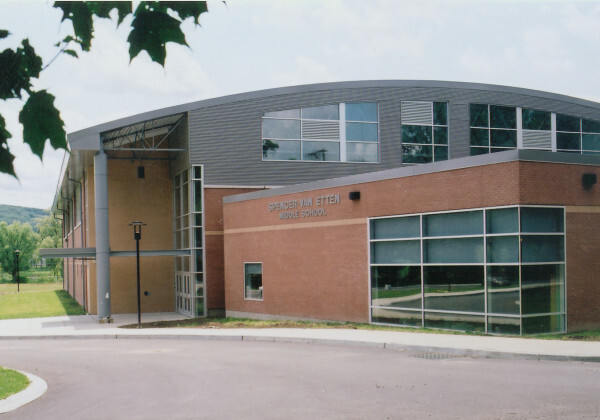 Extensive classroom alterations throughout the school include art, vocational and computer labs. 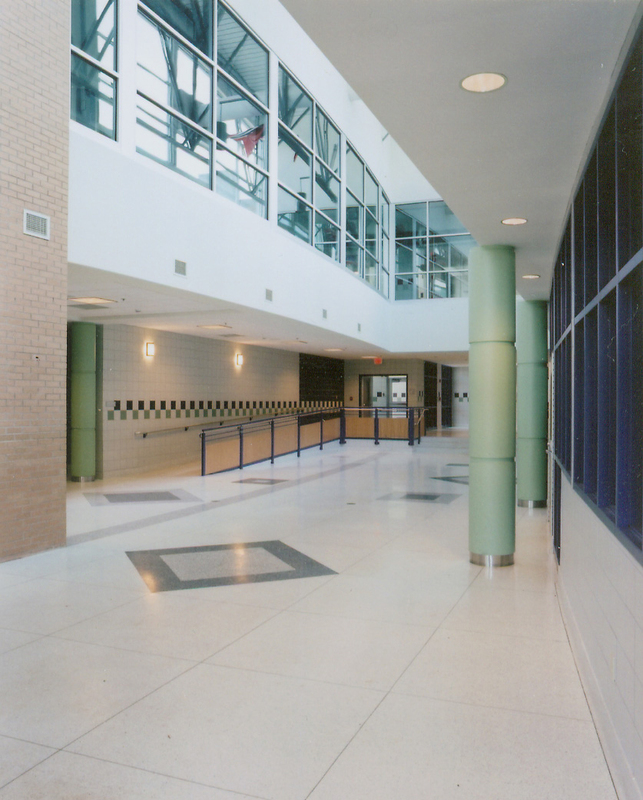 The key architectural feature of the addition is a two-story as a lobby for a new school entrance. 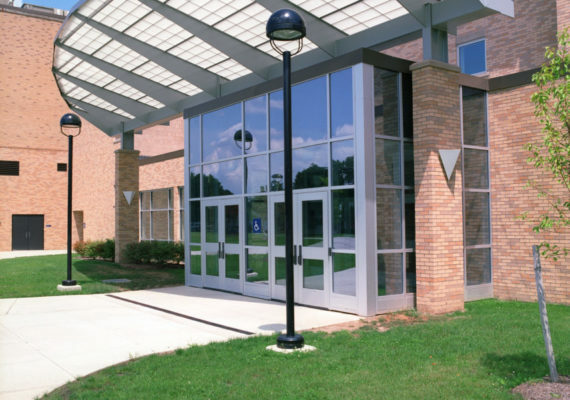 This new entrance allowed the designers to create a bus loop that improved student safety and traffic circulation on the campus. 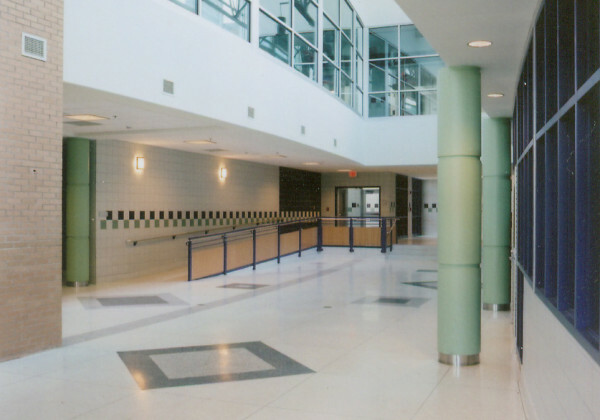 Project designers were faced with the challenge of blending new architectural features into the existing classical architecture. 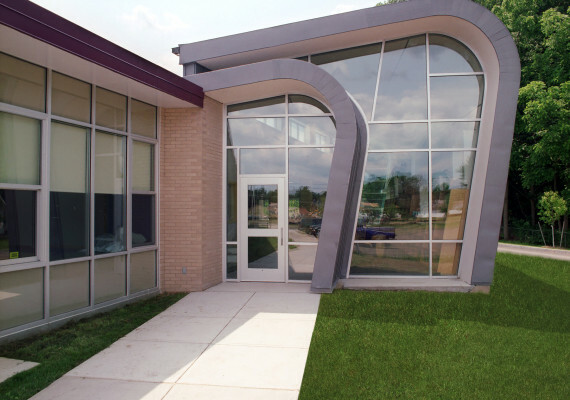 This is exemplified by the new window designs that complement the existing architecture. 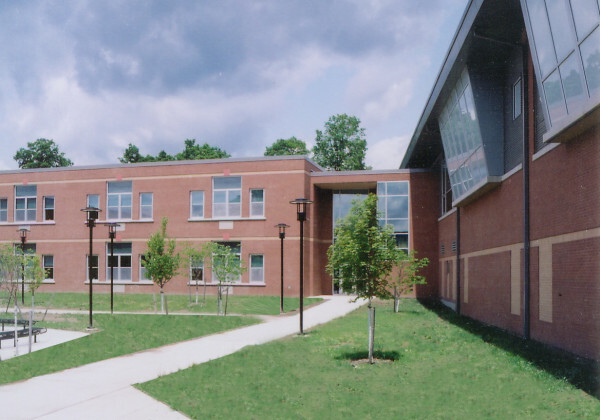 The efficiency of the school’s heating system was improved dramatically because of the addition of a new boiler room in the basement. 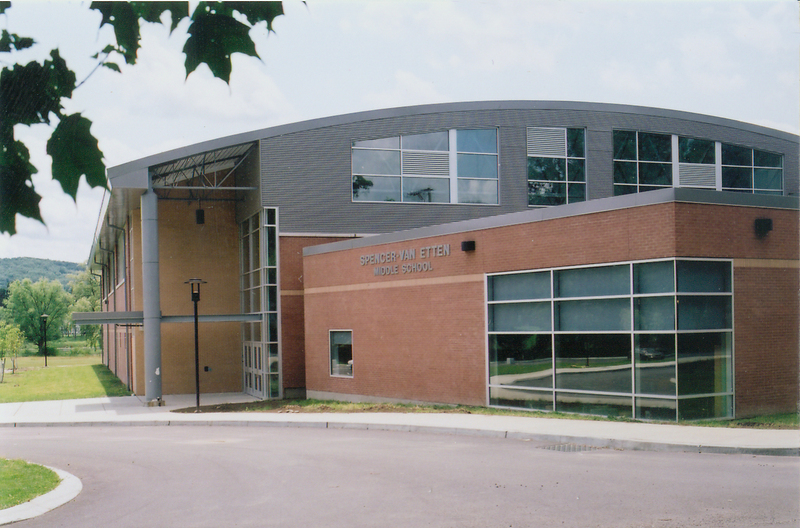 The dramatic curve of the gymnasium’s roof extends over the school’s locker rooms, classrooms and atrium to maximize the use of natural lighting. 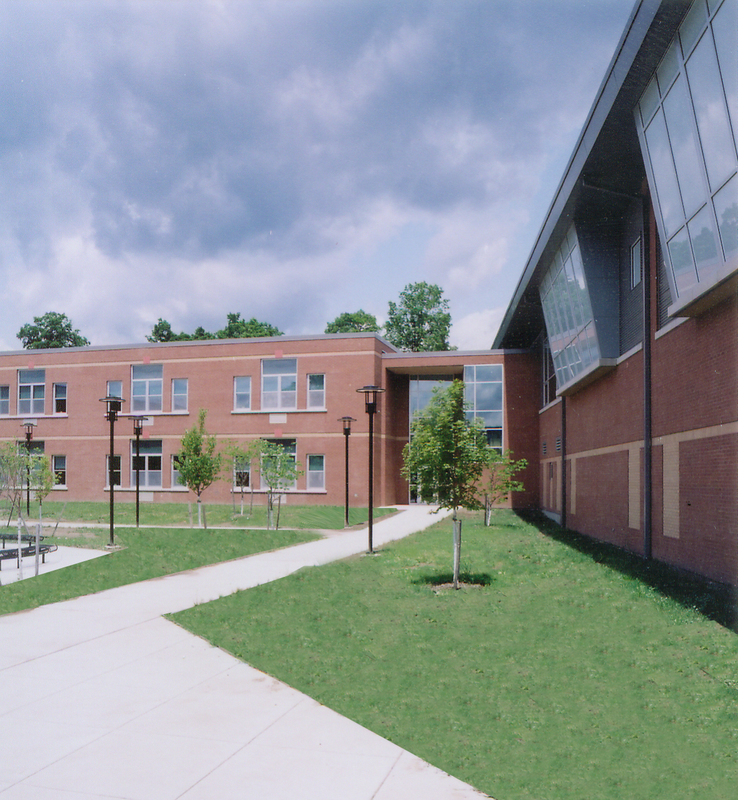 The new configuration of the school created a courtyard, which can be used for outdoor teaching and as a student gathering space.